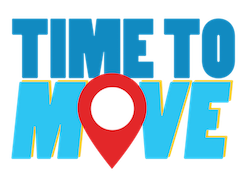 Time to Move is a eurodesk Europe-wide campaign which informs young people and those who work with them about opportunities to work, study, train and volunteer in Europe, as well as provide useful local contacts in the area of Youth and European Information. Hundreds of activities await participants in many European countries, including Ireland, from 1 to 31 October 2018; all are free of charge and will soon listed by area on the TimeToMove website. The NCGE FET Guidance Programme will again be supporting TTM ‘18 events by engaging with the FET Sector Guidance services and providers, and those associated with delivery of Information & Guidance to people aged 18 – 30. The Time to Move events are therefore again open to Youth Information workers, Training Centre Managers, Adult Education Guidance Counsellors and Guidance Information officers, Youthreach Advocates, Jobsclub Guidance Counsellors, Mediators and other organisations working with young people and adults, especially those with few opportunities such as unemployed young people and early school leavers. Participants will receive information on opportunities for young people in Europe, as well as discuss effective ways to support future workers, trainees, students and volunteers in cooperation with relevant local organisations. There are many opportunities for young people from Ireland in Europe and the TTM events promise be a great opportunity to exchange information and start or enhance meaningful cooperation between Eurodesk multipliers, adult and secondary school guidance counsellors, Youthreach and CTCs, ETB youth officers, INTREO offices, LESN, JobClubs, PLC & FET Guidance, Training Centres, Regional Skills Managers and relevant information networks. Planned for different locations than last year so that the ‘spread’ of ‘multipliers’ who can attend will be different, e.g. the Dublin event was in Blanchardstown last year, this year it will be in Tallaght. Below are the proposed dates for TTM events this year for the calendar. Today, more than 1,200 youth professionals work with Eurodesk in Europe to raise awareness among young people about mobility opportunities and to encourage them to become active citizens. As a support organisation to the EU education and training programme Erasmus+, Eurodesk provides comprehensive and accessible information on learning mobility to those who work with young people. Eurodesk youth workers always make sure that the information they channel is relevant and timely. Eurodesk information points can be contacted via the Eurodesk.eu website across Europe and Eurodesk.ie website for Ireland.